It’s freezing cold in South Korea, nation of profound indifference. It is freezing cold in South Korea! 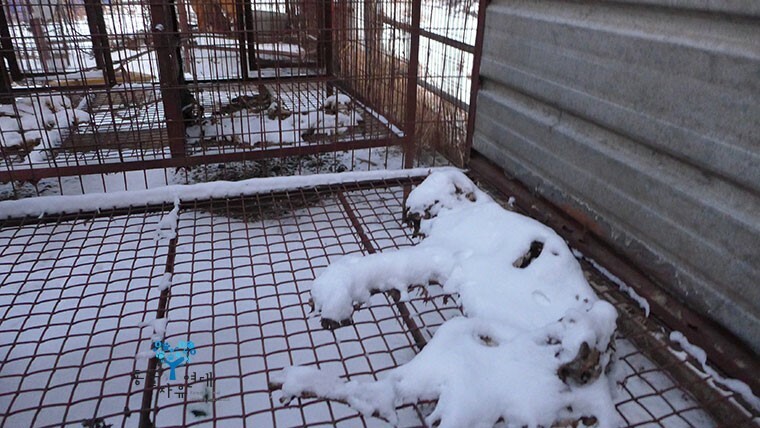 Millions of dogs, even newly born puppies, are imprisoned in stacked outdoor cages of wire, with no protection from freezing snow and wind in South Korea’s “dog meat” dog farms and slaughterhouses. Their lives are filled with unimaginable pain and agony. Don’t let the Koreans continue their vile and cruel practice. Please click the below links to take action today and help fight the South Korean dog and cat meat trade. Thank you for caring!